George Rosen, professor emeritus of economics, died Jan. 8 at his home in Chicago, a month short of his 98th birthday. He suffered from Alzheimer’s disease for several years. Born Feb. 7, 1920, in Petrograd (now St. Petersburg), Russia, he came to the United States with his widowed mother in 1923. His early years were spent in Bridgeport, Connecticut; later he moved to Brooklyn, New York. He received his bachelor’s in economics in 1940 from Brooklyn College. That fall he enrolled for a Ph.D. in economics at Princeton University, but after two years, his studies were interrupted by World War II. He enlisted in the U.S. Army Signal Corps and served in Europe until the war’s end. He then resumed his studies at Princeton while also teaching economics at Bard College. In 1949, he received his Ph.D. in economics. Rosen then worked in the Japan section of the Office of Intelligence Research, U.S. Department of State, for several years, until he was offered an opportunity to conduct first-hand research on Indian industrial policy, in 1955 for the MIT Center for International Studies. His subsequent four-year stay in Bombay marked the beginning of his life-long career as a development economist, focusing on various aspects of the changing economies of India and other Asian countries. He later spent time in Nepal on a Ford Foundation-funded research project, worked briefly for the U.N. in New York and in the 1960s for several years at the Rand Corporation, where he wrote his best-known book, Democracy and Economic Change in India. Then he moved to Manila, the Philippines, to become chief economist at the Asian Development Bank. In 1972, he joined UIC as professor and head of economics. After retiring from UIC in 1985, he spent a year in Nanjing, China, teaching undergraduate economics to Chinese students in a program jointly administered by Johns Hopkins and Nanjing Universities. He also made several trips to India to accompany his wife, Sylvia Vatuk (UIC professor emerita of anthropology), on her own research projects. 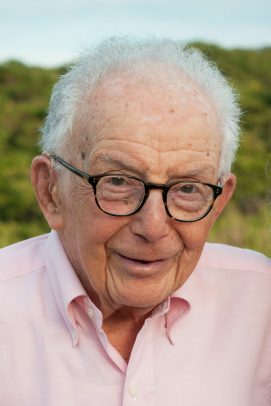 Rosen authored 10 scholarly books, including one on the post-war role of American and British economic advisers in India and Pakistan and another that compared the growing economies of India and China. He enjoyed reading, visting art museums, the opera, theater and classical music performance. In addition to his wife, Rosen is survived by his son, Mark; daughter-in-law, Kymberlee, and grandchildren, Quinn and Kailee. He also leaves step-sons, Sanjaya and Jaidev Vatuk; step-daughters, Arna and Sunita Vatuk; step-son-in-law David Claman; step-grandson, Dallas Ashley; and step-great-granddaughter, Charlie Evans. A memorial service will be held at UIC May 5.